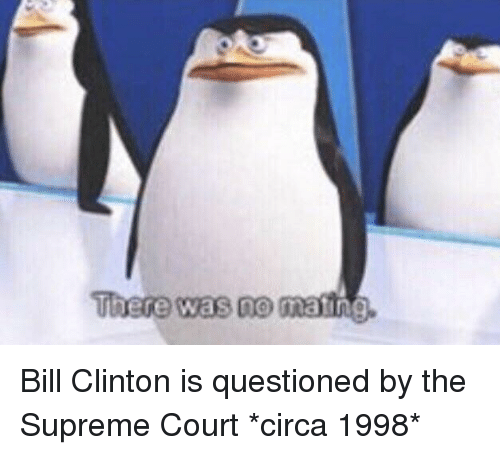 Bill Clinton, Supreme, and Supreme Court: Bill Clinton being questioned in front of the Supreme Court: There was no matin I did NOT! 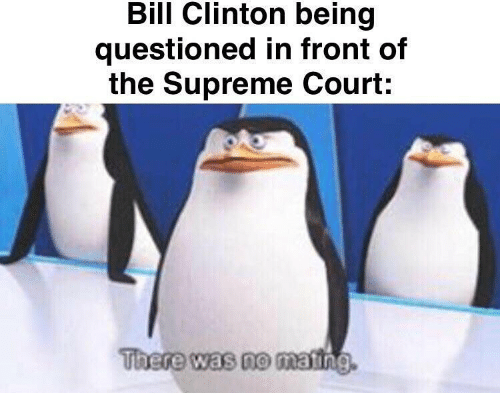 Oh hi Mark! 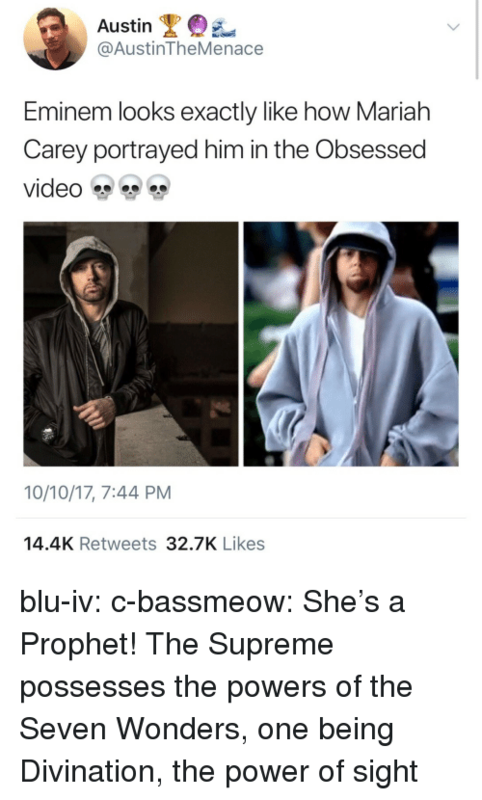 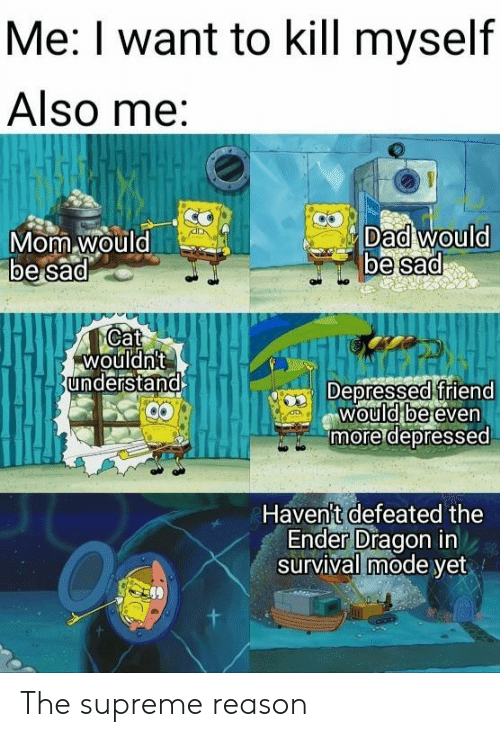 I did NOT! 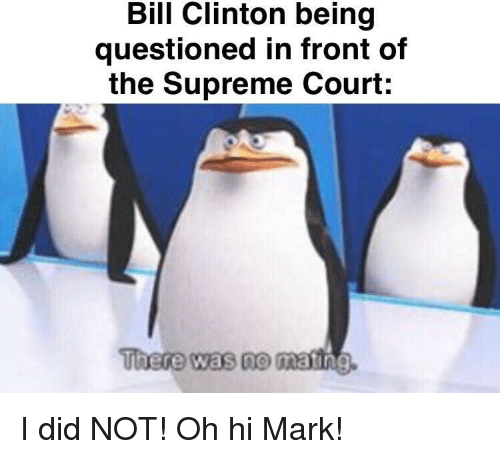 Oh hi Mark! 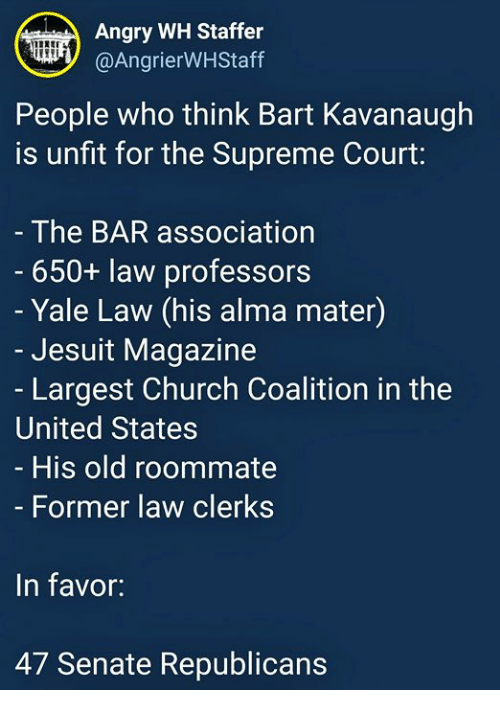 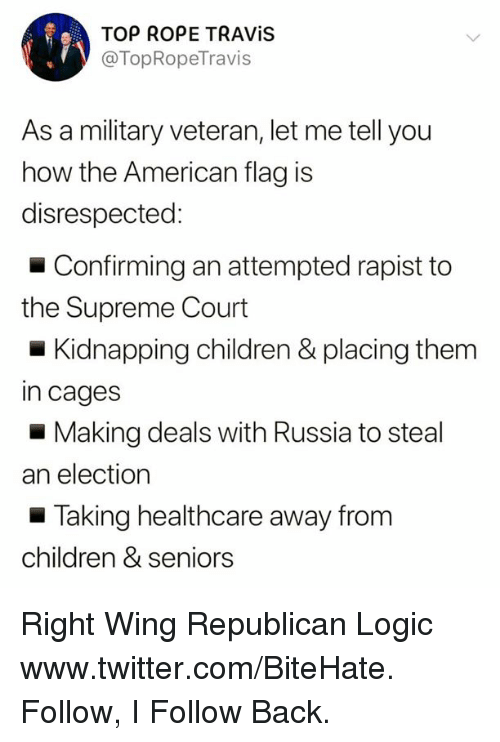 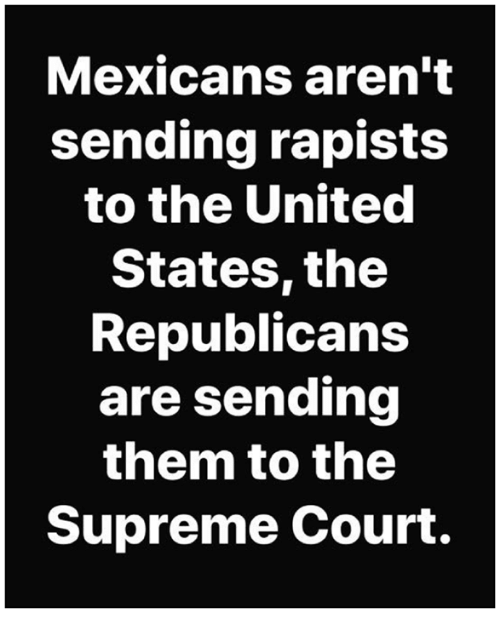 Supreme, Supreme Court, and United: Mexicans aren't sending rapists to the United States, the Republicans are sending them to the Supreme Court. 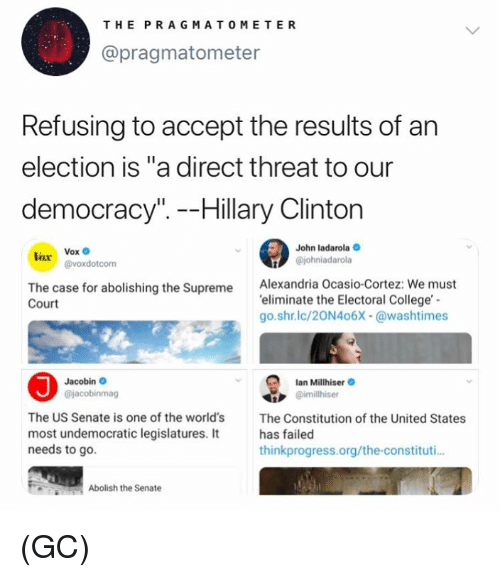 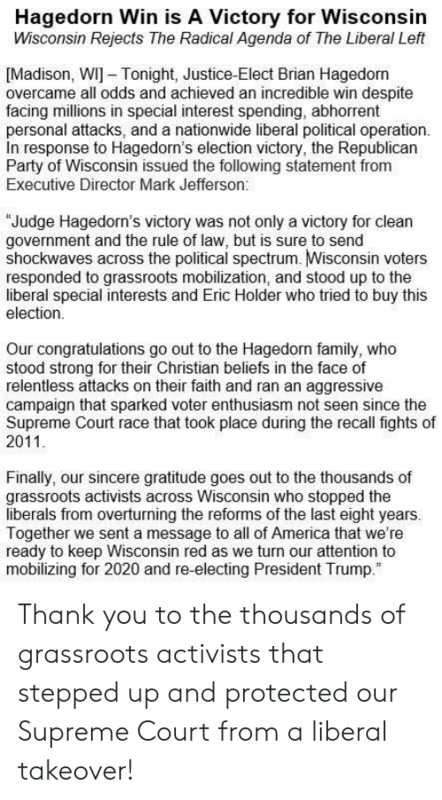 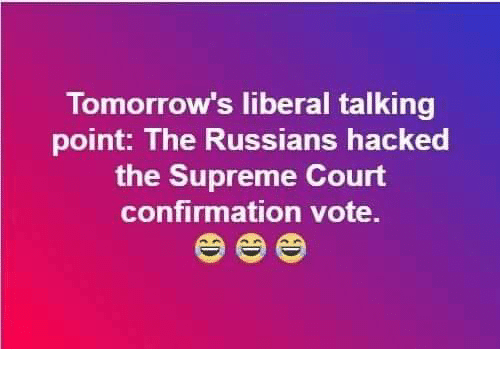 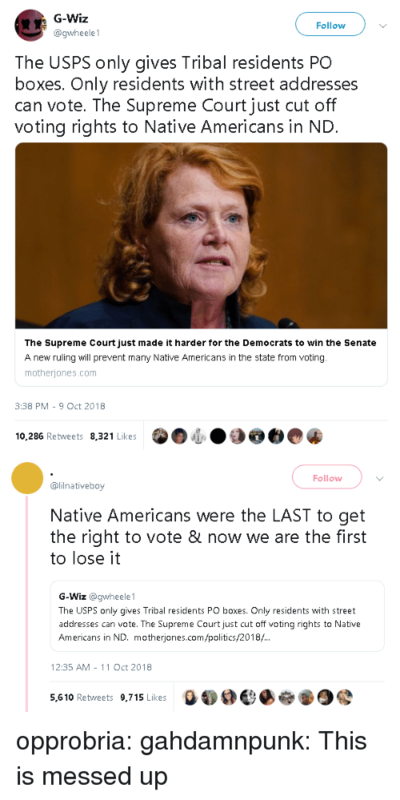 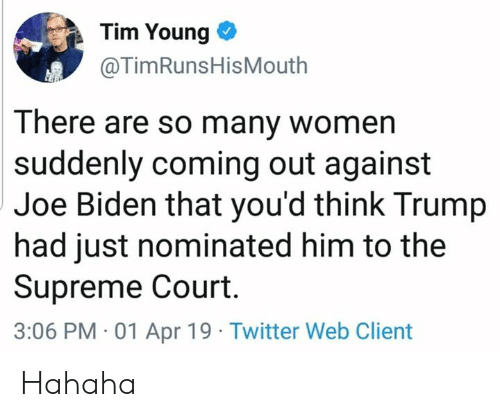 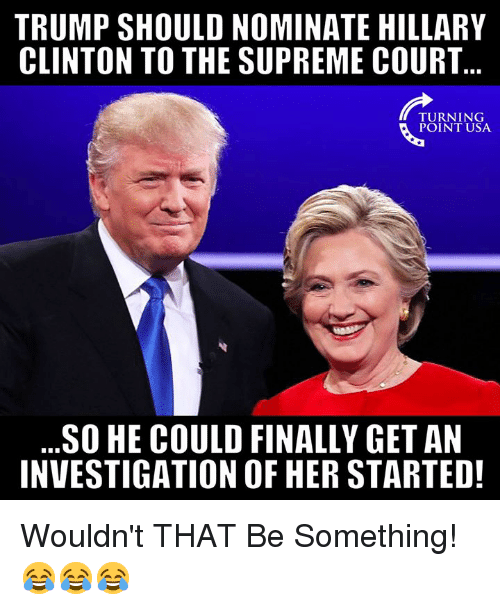 Memes, Supreme, and Supreme Court: Tomorrow's liberal talking point: The Russians hacked the Supreme Court confirmation vote. 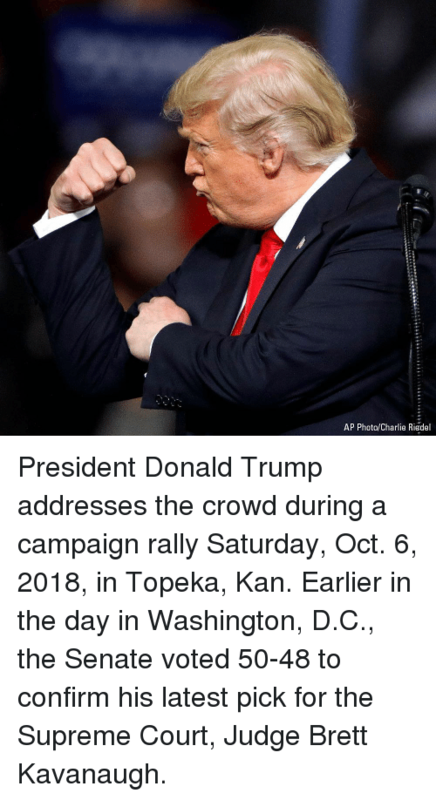 Charlie, Donald Trump, and Memes: AP Photo/Charlie Riedel President Donald Trump addresses the crowd during a campaign rally Saturday, Oct. 6, 2018, in Topeka, Kan. 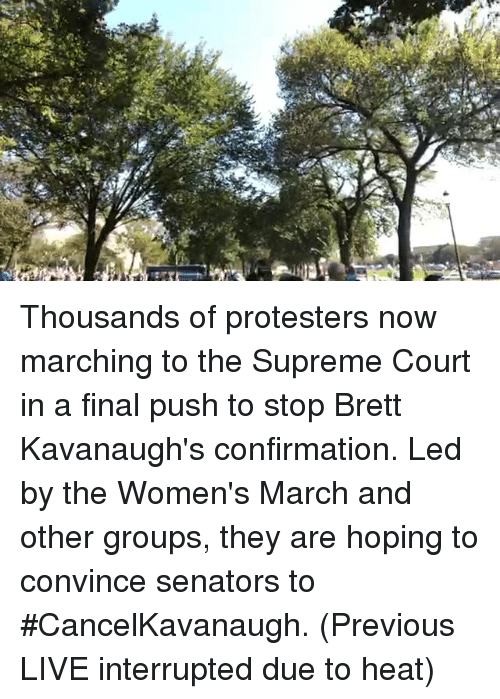 Earlier in the day in Washington, D.C., the Senate voted 50-48 to confirm his latest pick for the Supreme Court, Judge Brett Kavanaugh. 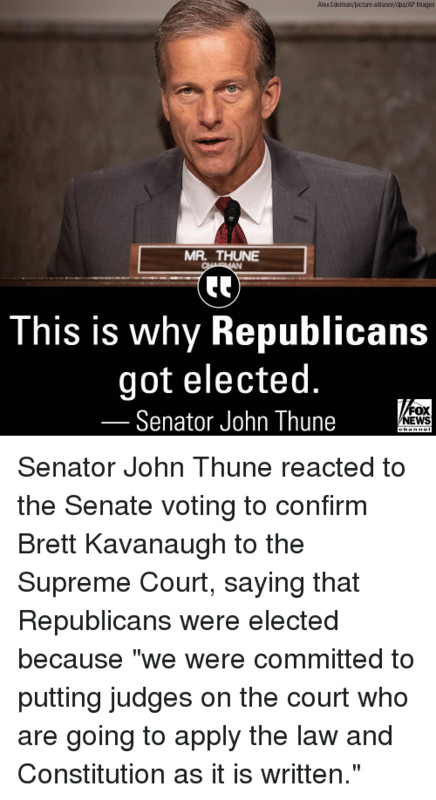 Memes, News, and Supreme: Alex Edelman/picture-alliance/dpa/AP Images MR. THUNE This is why Republicans got elected Senator John Thune FOX NEWS chan neI Senator John Thune reacted to the Senate voting to confirm Brett Kavanaugh to the Supreme Court, saying that Republicans were elected because "we were committed to putting judges on the court who are going to apply the law and Constitution as it is written." 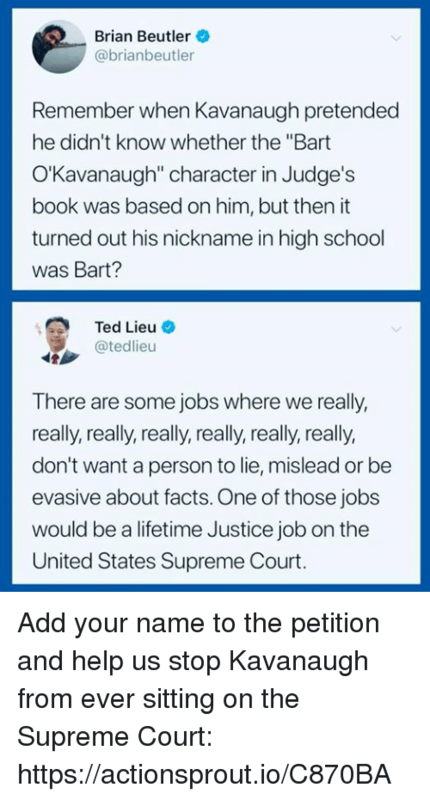 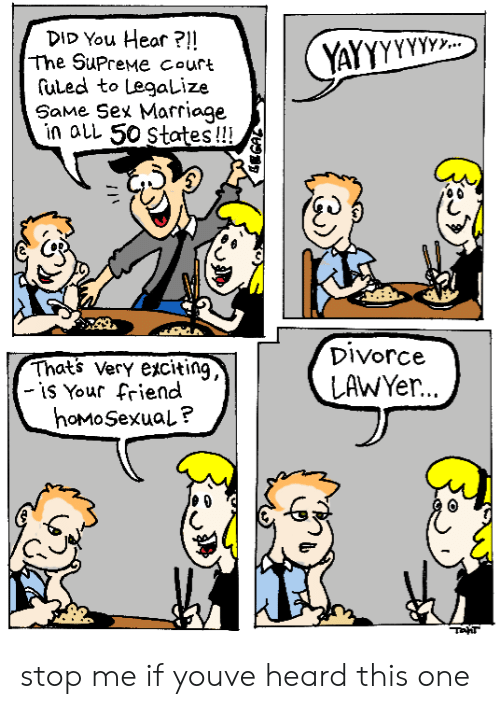 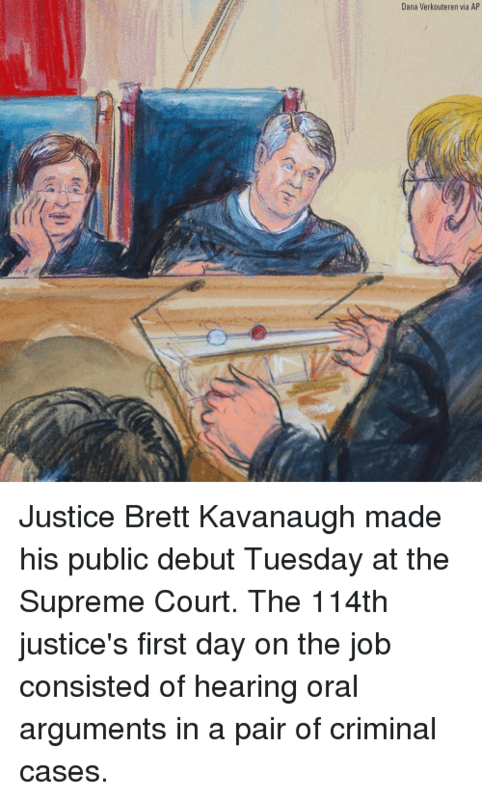 Memes, Supreme, and Supreme Court: Fred Schilling. 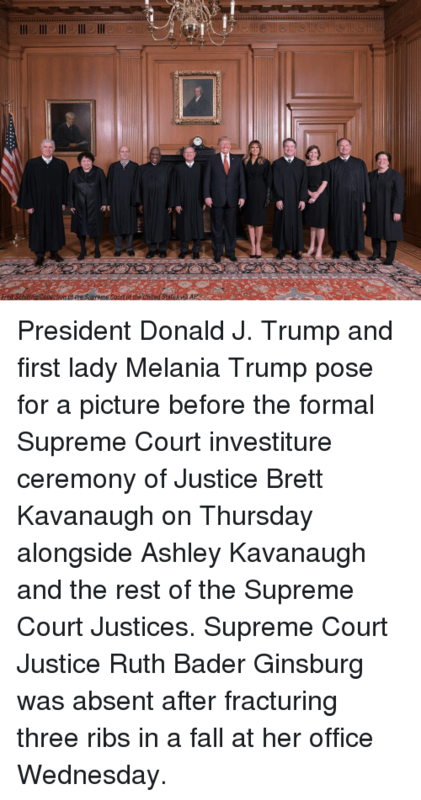 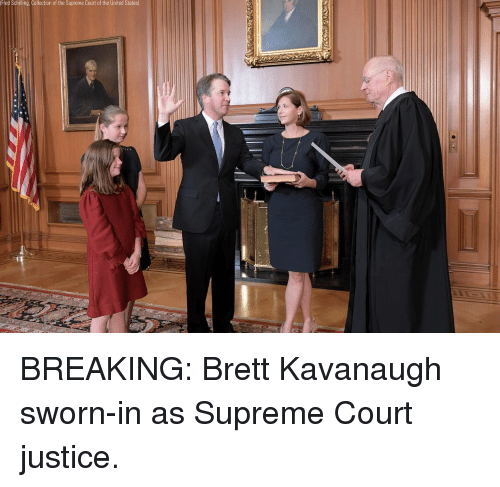 Collection of the Supreme Court of the United States BREAKING: Brett Kavanaugh sworn-in as Supreme Court justice. 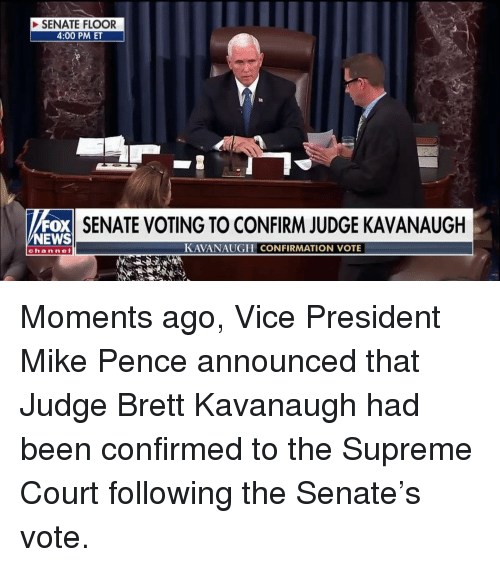 BREAKING: Brett Kavanaugh sworn-in as Supreme Court justice. 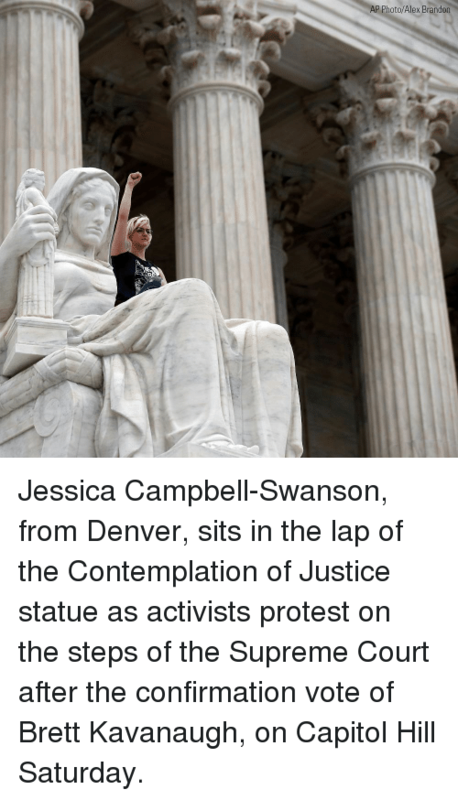 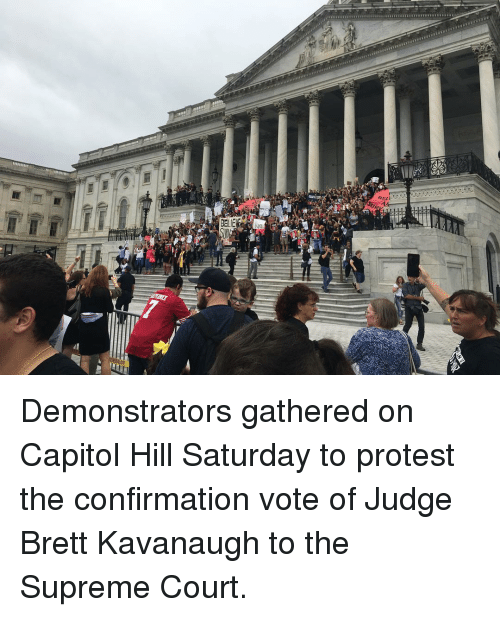 Memes, Protest, and Supreme: Demonstrators gathered on Capitol Hill Saturday to protest the confirmation vote of Judge Brett Kavanaugh to the Supreme Court. 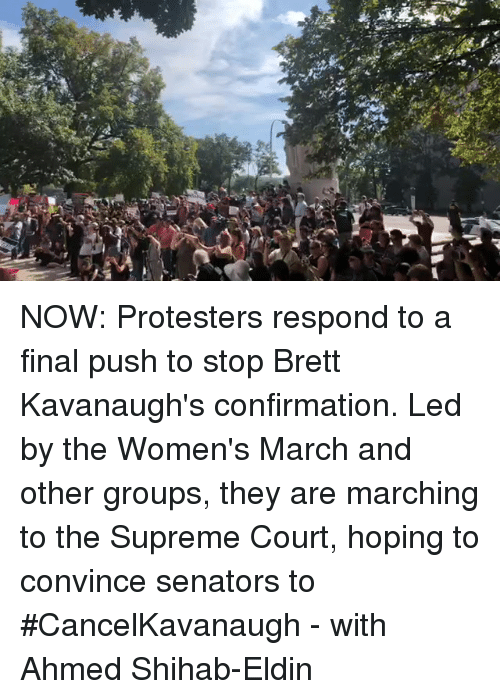 Demonstrators gathered on Capitol Hill Saturday to protest the confirmation vote of Judge Brett Kavanaugh to the Supreme Court. 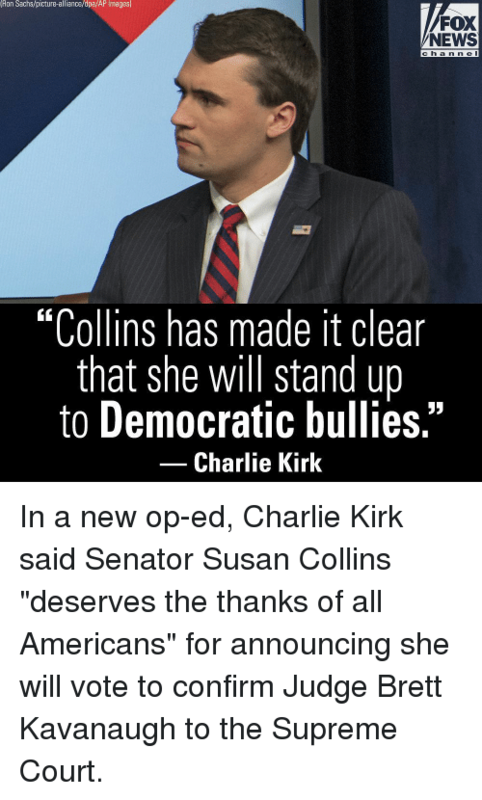 Charlie, Memes, and News: Ron Sachs/picture-alliance/dpa/AP Images) FOX NEWS ch a n n e l "Collins has made it clear that she will stand up to Democratic bullies." 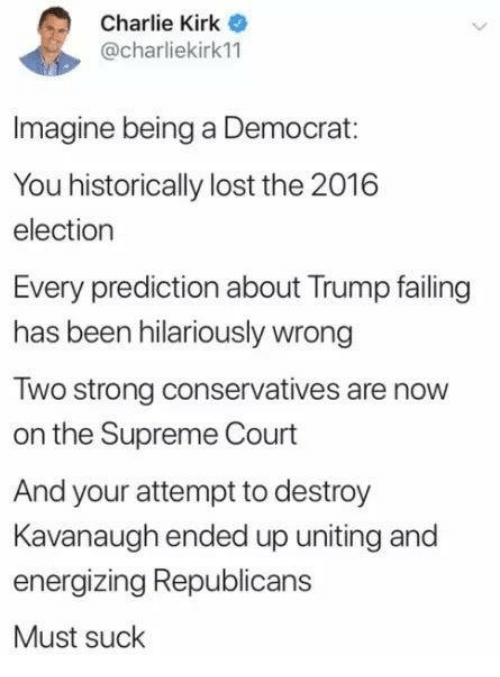 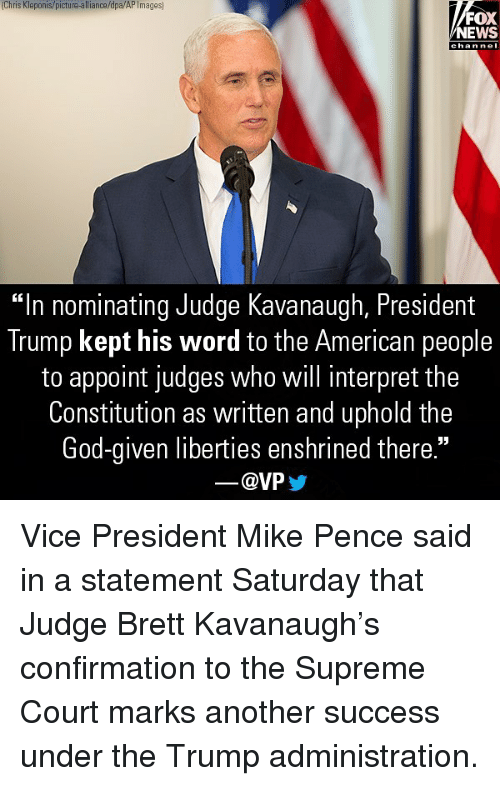 -Charlie Kirk In a new op-ed, Charlie Kirk said Senator Susan Collins "deserves the thanks of all Americans" for announcing she will vote to confirm Judge Brett Kavanaugh to the Supreme Court. 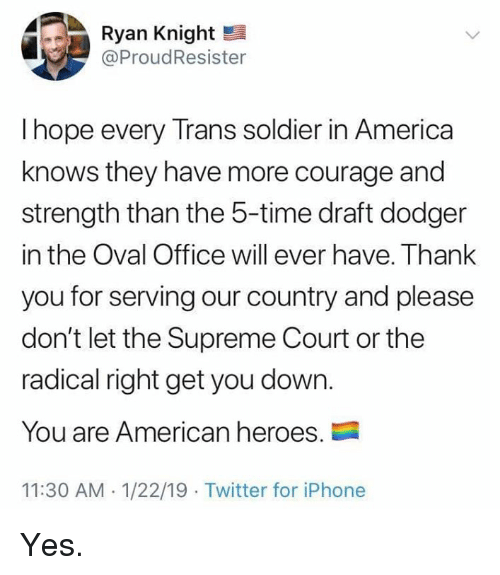 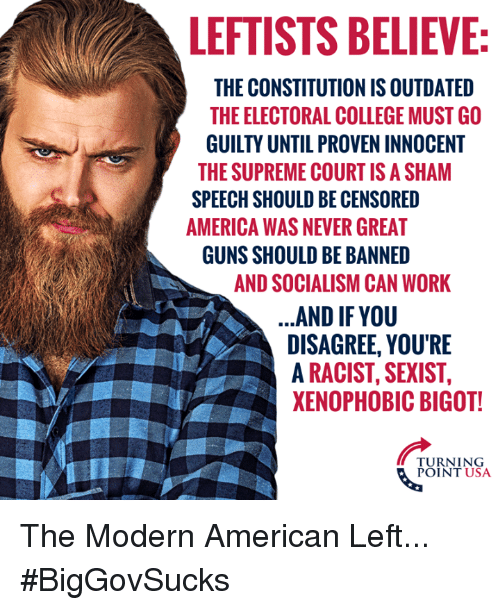 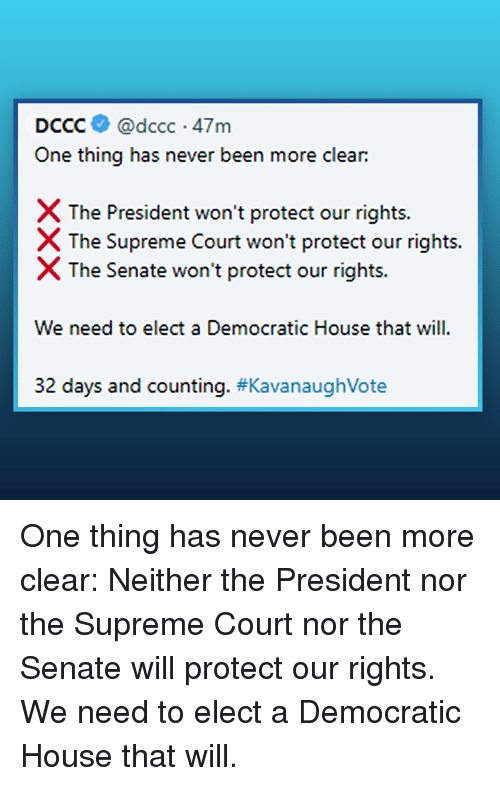 Memes, Supreme, and Supreme Court: DCCC@dccc 47m One thing has never been more clear: X The President won't protect our rights. 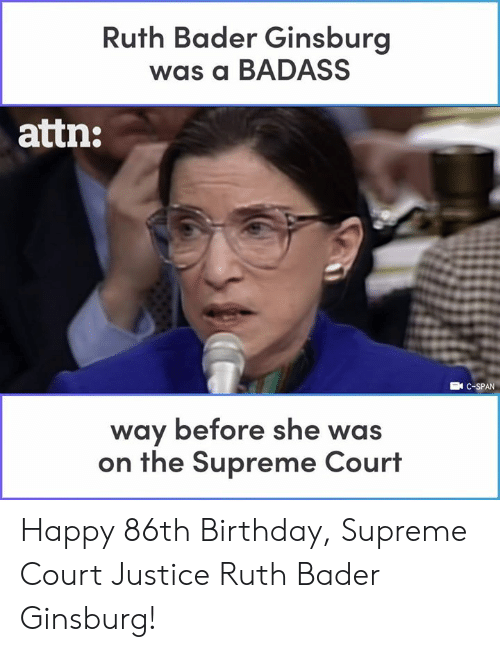 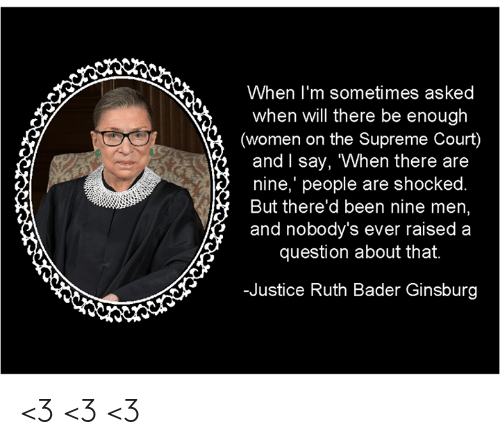 The Supreme Court won't protect our rights. 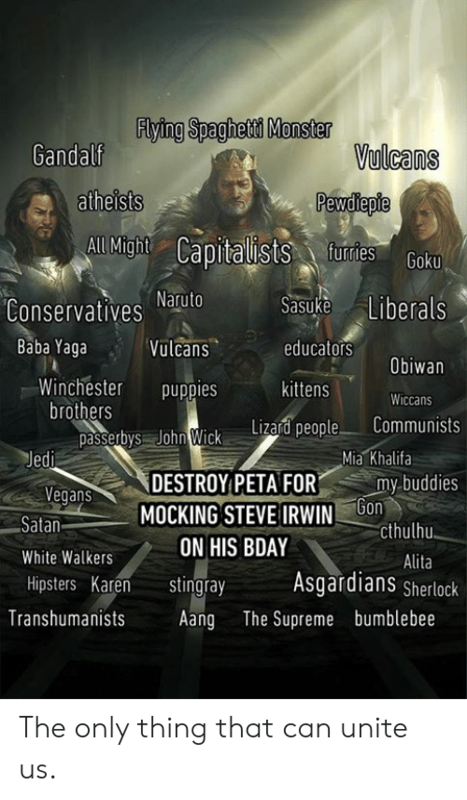 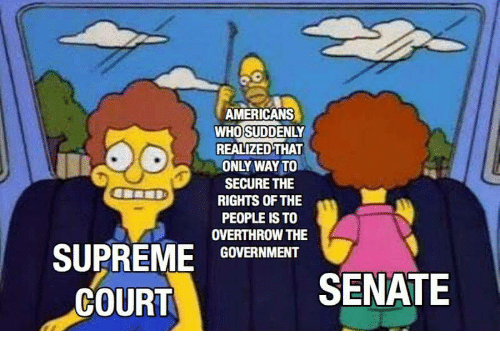 X The Senate won't protect our rights. We need to elect a Democratic House that will 32 days and counting. 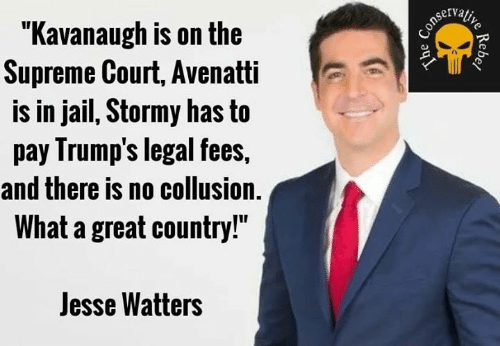 #Kava naughVote One thing has never been more clear: Neither the President nor the Supreme Court nor the Senate will protect our rights. 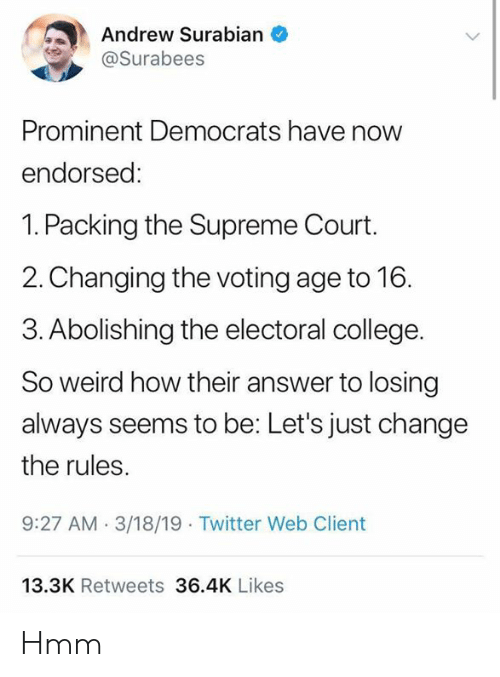 We need to elect a Democratic House that will.